If you are a neon afficionado, it's worth going out of your way to visit the American Sign Museum in Cincinnati, Ohio. Housed in an old factory, the roof was elevated and rebuilt in order to accommodate the tallest signs. Walk through the galleries and witness the changing styles and materials: printed cardstock, wood, glass, metal and plastic. The signs encapsulate the history of graphic design in the U.S. At the moment, this one is my favorite. 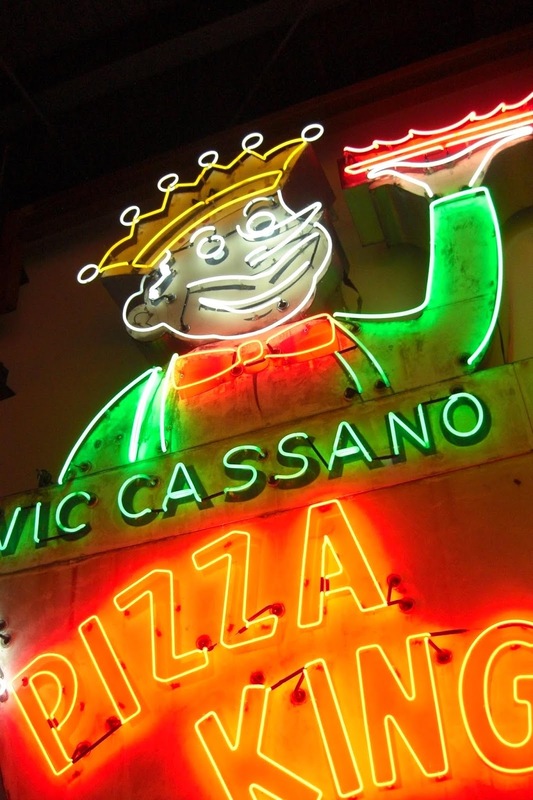 Who knows whether Mr Cassano truly deserved the title of Pizza King, but he sure knew how to come up with a fabulous neon sign.